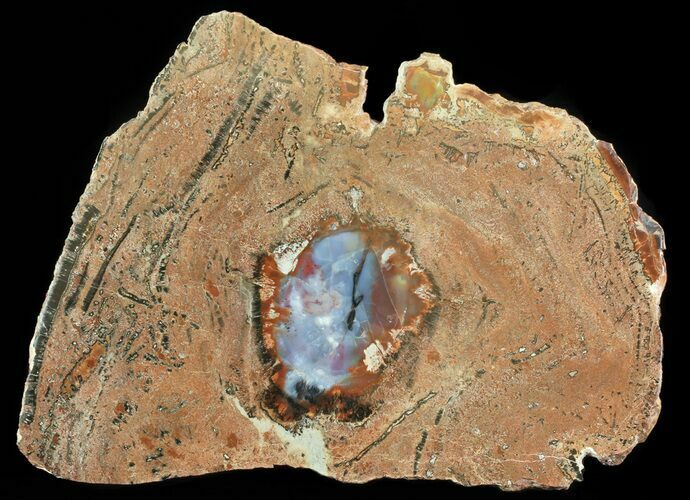 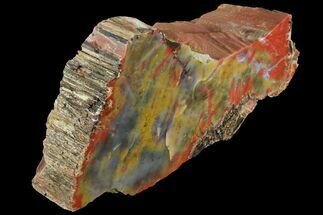 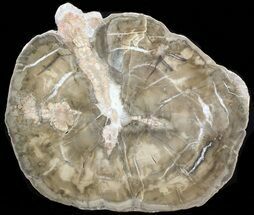 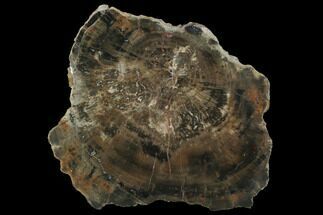 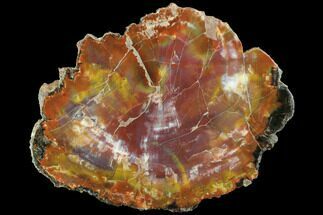 This is a very interested, 13.3" wide slab of polished Arizona petrified wood. 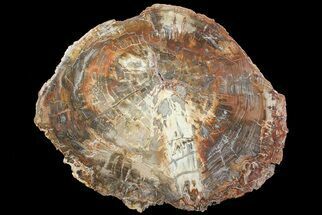 It likely represents a rotten log that fossilized with either more solid knot or branch at the center. 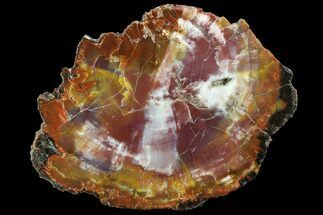 The fossilized "rotten wood" has a reddish/pink coloration while the more solid center has a deep red and purple color.